Big Nose the Caveman (Unlicensed Nintendo NES) VGA Graded 85 NM+ New & Sealed! BIG NOSE THE CAVEMAN Nintendo NES Video Game Camerica Used Gold - FREE SHIPPING! Big Nose the Caveman, Gotcha & RBI Baseball Tengen VERY GOOD COND NES Nintendo! 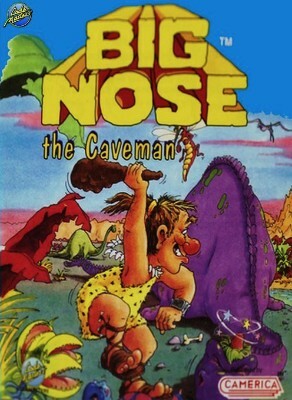 Big Nose the Caveman (Nintendo Entertainment System, 1991) Cart only. Tested!!! Big Nose the Caveman (Nintendo Entertainment System, 1991) NES Cartridge Exc!